It is high time to rethink and recall the plunder case against Janet Napoles and why, during the time of former President Benigno Aquino III, was the list of guilty politicians too whitewashed and biased. Social media influencer Krizette Chu emphasizes her point in calling forth the public to lobby for Napoles becoming a state witness so that all guilty politicians will be brought to justice, even if they are allies of the current administration. She recalled how Aquino had tried hard to protect his cohorts during the controversial Napoles case and indicted his opponents so as to retain influence and favor within his league. Now that President Rodrigo Duterte holds the highest seat of power in the land, Chu deems it the most suitable time to pursue those politicians guilty of involvement in the pork barrel scam, an issue that had brought some beacon of hope during the Aquino time, but one that was shrouded in ulterior motives and vested interest. Chu clarifies that she has no direct ire for Napoles, but instead, she wants to hold accountable the politicians who partook in Napoles’ massive plunder since they are the ones who swore to serve the public’s interest. 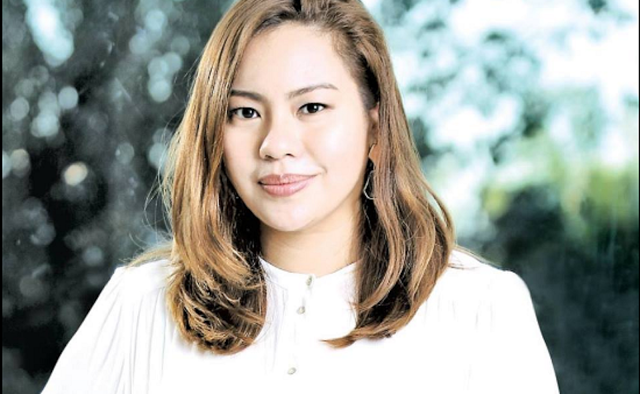 The social media personality views Napoles’ position as one that had been accessible and viable only because there were politicians who allowed her to be, and while Napoles did the public wrong, she has no responsibility or oath to public welfare. IF YOU LOVE YOUR COUNTRY, EVEN IF YOU ARE ANTI DUTERTE, YOU SHOULD SUPPORT JANET NAPOLES BECOMING A STATE WITNESS. Please think what this means for us ordinary Filipinos. 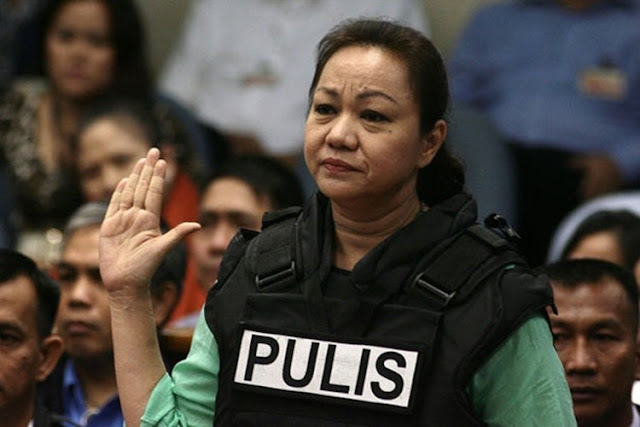 Beware: The involved politicians are now twisting the angle of Napoles becoming a state witness, sa sabihin nila she will just be used to parrot names. PLEASE THINK THAT THIS IS IMPOSSIBLE. NAPOLES HAD A LIST IN THE TIME OF AQUINO BEFORE DUTERTE EVEN BECAME A CANDIDATE. THERE IS BASIS ON THAT LIST. SHE JUST CANT COME UP WITH NEW NAMES. THAT LIST HAS BEEN RELEASED TO THE MEDIA. ON THAT LIST ARE BONG REVILLA, ETC. Bakit walang nangyayari sa plunder case ni Napoles during the time of Aquino? What happened, Aquino? Too many of his BFFs going to be named in the case? What happened was Aquino chose which ones he could detain (his Opposition), and which ones went free. Unang una, hindi ko binoto si Janet Napoles. Wala akong pagdamdamdam na manloloko siya. Wala siyang responsibilidad sa atin. Hindi niya tayo pinangakuan. Pero yung mga nangako sa atin na pagsisilbihan tayo, pero ninakawan tayo, yun ang gusto kong makulong. Hindi ako nanggagalaiti kay Janet Napoles--whom I've met by the way. She and daughter Jeane, along with 4 other of "Manila's Loveliest"-- a society event where they launch the debutantes of Manila's social set. Mahadera si mommy Janet. Kunyari may feeding program daw siya. Nung dumating si Angelu de Leon sa Discovery, para syang fan na halos magwala para magpapicture. Ang bilyonaryang si Janet Napoles. Hindi ako sa kanya galit na galit. Kasangkapan lamang siya ng mga mambabatas nating kawatan. Ang pinagkaiba: Wala sya sa posisyon. Ang totoong magnanakaw na kriminal ay ang ating mga mambabatas. I want her to be made state witness because I want the heads of all those government officials who promised us progress and just fucked us up instead. Janet didn't graduate college, didn't know the ins and outs of stealing from the government. She's a simpleton, who was used. Janet is replaceable because if it weren't her, it would be someone else. There are bigger fishes to fry, and if you really love this country, you have to learn to look beyond what the Opposition says, we have to learn to look beyond party lines. Walang Dilaw o Pula or anti pr pro Duterte didto. Magka alaman na. It is time for the thieves of every color and from every party to pay up! Fight for this as a Filipino and not a supporter of any politician.